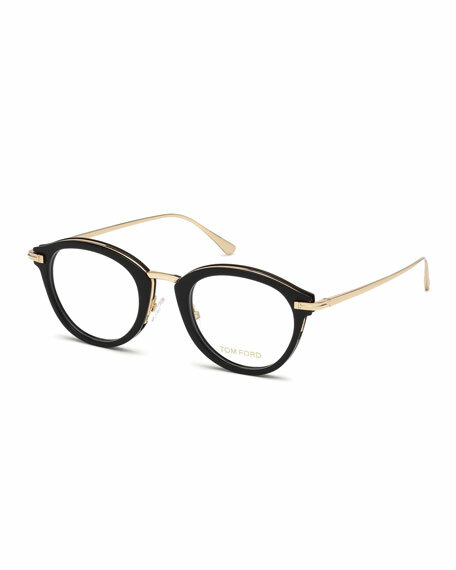 Tom Ford oval optical frames. Acetate frames with metal trim. Clear, non-optical demo lenses (replacement recommended).